People news at Citrix, FTI Consulting, DS Smith and Billion Dollar Boy; account wins for Frank, The Belleville Collective and Montfort Communications; new initiatives from Wildfire and Ready10; and industry leaders predict the PRCA’s 19 trends for 2019. 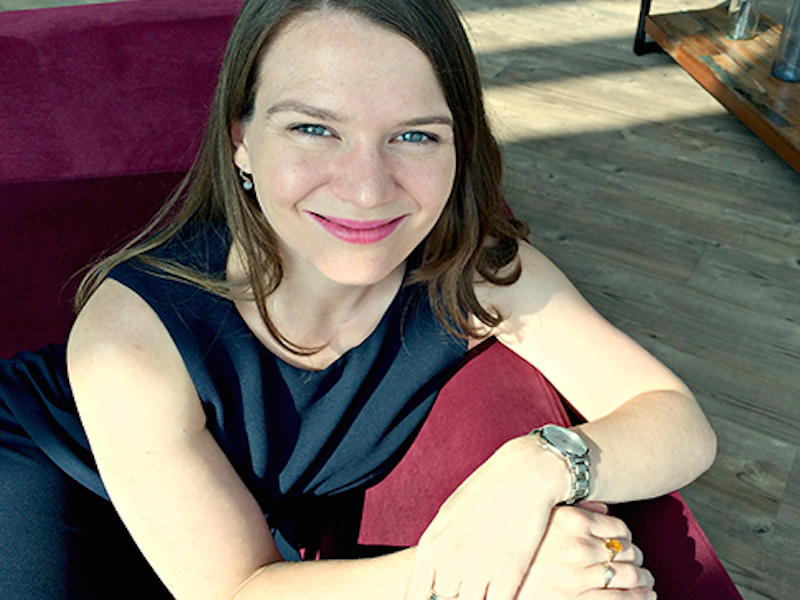 LONDON — Citrix has appointed Rebecca Taylor-Cottle (pictured) as its new head of communications for Northern Europe. She joins the IT solutions company from the same role at CA Technologies. Taylor-Cottle will join the corporate communications team, reporting to director of international communications Slavica Simunovic, and will be responsible for external and internal communications, social media and analyst relations, across the UK, the Nordics, and South Africa. She succeeds Simon Burberry, who has been promoted into a corporate role. LONDON — FTI Consulting has expanded its digital reputation practice with three hires. Ben Craig returns to the agency as director after a stint advising the Labour frontbench on communications and policy, and more recently at 38 Degrees, where he created large-scale public advocacy campaigns. Esmé Hurry joins as a senior consultant from Digitalis Reputation where she counselled ultra-high-net-worth individuals, governments, and FTSE-listed companies and their boards on reputation management and digital strategy. Bella Bricket joins as consultant from Brunswick where she held a data and research-focused role. LONDON — Packaging and paper company DS Smith has made three senior hires. Sam Hodlin joins as head of group internal communication after eight years as head of internal communications at Eurostar; Peter Clayson, who has worked at the company since 2007, is the new head of government and community affairs; and Shona Inglis, head of media relations and campaigns, joins from Golin, where she was an executive director. All three report to Greg Dawson, director of corporate affairs. LONDON — Billion Dollar Boy, the global influencer marketing agency, has hired Kathy Dover as its first director of client services to support its ambitious growth plan. Dover led the integrated marketing communications teams at Maybelline and Garnier UK and was head of brand at Lastminute.com. While working agency-side, she led the account management team at VCCP Blue where she was involved in developing the Compare The Meerkat campaign for Comparethemarket.com. LONDON — Findmypast, the British and Irish family history website, has appointed Frank as its PR agency after a competitive pitch. The team has already launched Findmypast DNA, a biogeographical ancestry testing service to help family historians explore their worldwide and British and Irish roots, in collaboration with consumer DNA testing company Living DNA. Frank will be running an influencer and content campaign around the new product in February. LONDON — The Public Relations and Communications Association (PRCA) has produced its annual trends forecast, based on feedback from industry leaders in the UK. The “19 for 2019” list includes areas such as the rise of virtual agencies and freelancers; video, podcasts and AI; measuring the value of PR; mental health; business integration; and creativity. LONDON — Montfort Communications has been appointed as strategic communications adviser by Majedie Asset Management, which manages equities for institutional investors, wealth managers and endowments. The Montfort team, led by Nick Bastin, will work with Majedie to enhance its public profile and reputation in the UK institutional and wholesale arena. DUBAI — Edelman Middle East CEO Omar Qirem is the new head of the Public Relations and Communications Association Middle East and North Africa (PRCA MENA). He succeeds Loretta Ahmed, Grayling’s CEO for Middle East, Turkey, and Africa and also takes over from Ahmed as the regional president of the International Communications Consultancy Organisation (ICCO). LONDON — PR-for-SEO agency Ready10 is helping staff who might be feeling the effects of an early December salary, by paying them twice in January. The Goodbye Skint January initiative gives staff the option of splitting their salary over 13 pay days throughout the year, with the extra payment hitting in mid-January. It was introduced after the agency carried out consumer research that found over 50% of people have spent their December salary by mid-January because of difficulties in budgeting over Christmas. AVIGNON, FRANCE — Inter Rhône, the trade body for the winegrowers and merchants of Côtes du Rhône, France’s second largest AOC wine region, has chosen The Belleville Collective as its retained PR agency in the UK following a competitive pitch. The agency, which already works with a number of wine and gin brands, will raise awareness of the region and its wines with a consumer and B2B PR programme focusing on events and media relations.